This is our Happy Cats Guide eBook chapter 8 of 12. Click here to see all chapters. How to make a Hip Home with your Indoor Cat. Understanding the ideal layout for your cat doesn’t take too long to master. Once you have an idea of where your cat’s safe place is located as well as where they will eat, sleep, drink and toilet, you can start to put everything into action. 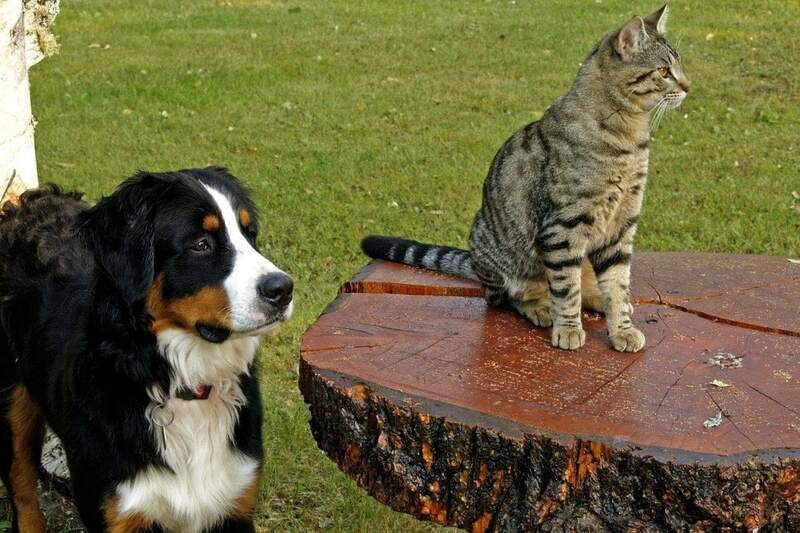 As we mentioned previously, cat furniture is available in pet stores and online. For years, these cat designs were quite obtuse and ugly, and it would never be too hard to spot the large carpeted and paw print covered cat tree in your friend’s lounge. Thankfully those unsightly days have passed, and while some of the unattractive pieces of cat furniture remain, there are now fantastic stylish solutions from companies like Hepper. Good cat furniture is simple, elegant, and practical, and fits in seamlessly with the rest of your furniture, so that your cat’s needs are satisfied, and you get to maintain style within your home. 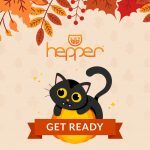 Hepper makes simple and satisfying designs, both from a cat and owner’s point of view. The Hepper Pod bed is a perfect example of a design that is ideal for a cat. This encompassing and comfortable cat cave is always a huge hit in any feline home because it ticks all the boxes your cat needs for a comfortable and stress free escape place. The inner of the pod is microfiber on one side and fleece on the other, meaning that you can customize the bed depending on the temperature in your home and the time of year. From an owner’s point of view, the removable and washable inner makes this bed even more practical, plus the design of the Hepper Pod is simple, elegant and most importantly — subtle. You can also match the bed design to each individual home in your room with a wide range of color options available. When considering your cat’s ideal indoor space, don’t forget that non-domesticated cats are typically either bush-dwellers or tree-dwellers. Many are both in fact, so it is important to provide sleeping areas and safe spots at both ground level and at a height. As mentioned earlier, the Hepper Pod bed is a good ground level option, and having several pod beds in your home will give your cat a number of areas to escape to. But how are you going to create the ‘up’ component for your cat’s ideal indoor space without ruining your home with ugly carpet and rope covered cat trees? Thankfully many options are available that are actually nice to look at, and provide a range of levels on which your cat can relax. If a stylish cat tree does not interest you, another option that is proving to be popular and cheap is the floating shelves concept. While these shelves can be bought at boutique pet stores or online, you can also design and perhaps even make and install these shelves yourself. What you create is ultimately up to you! You could have several small floating stairs on your wall, leading to more floating shelves of varying depths. It would be a good idea to have a wide shelf here and there on which you could make a comfortable bed for your cat. Make sure the shelves flow from on to the other so your cat can hop easily between them, ideally so that they can nearly reach up to the ceiling. The number of shelves, their depth, and their height is all up to you. These shelves are best placed in a main communal living space like your lounge, and if done correctly, this could turn into a positive statement piece for the decorations of the room. Another tip to get to get your cat up to greater heights is to make the most of your furniture that is already high. 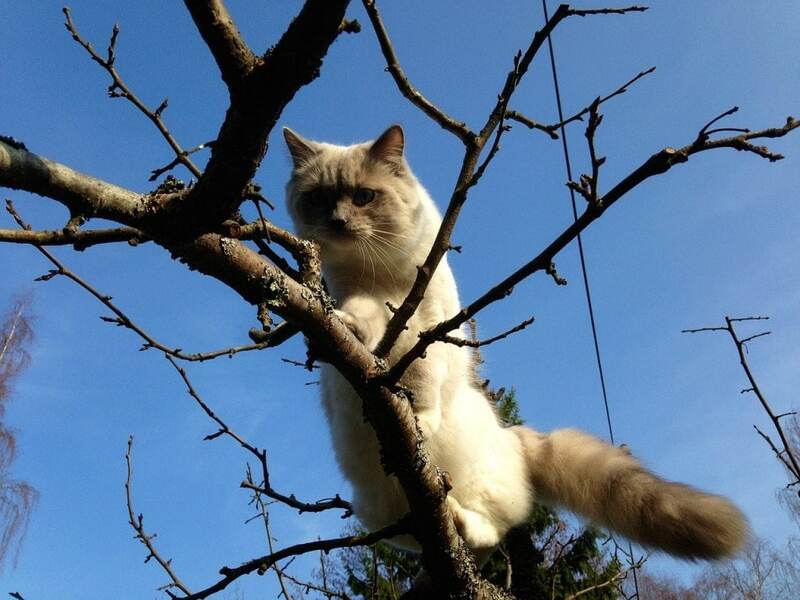 Most young and adult cats can manage to jump up to quite a height. If you have a wardrobe your cat could sleep on top of, or perhaps a shelf in a cupboard you could make comfortable for your cat — do it. In fact, as we mentioned above, these wardrobes could be a good way to create your cat’s safe space. Making these areas easily accessible and comfortable for your cat is typically all you have to do. Finally – just remember that often the most popular pieces of cat furniture are the simplest. We have all seen this first hand when our cats jump into an empty cardboard box and lie there for hours! 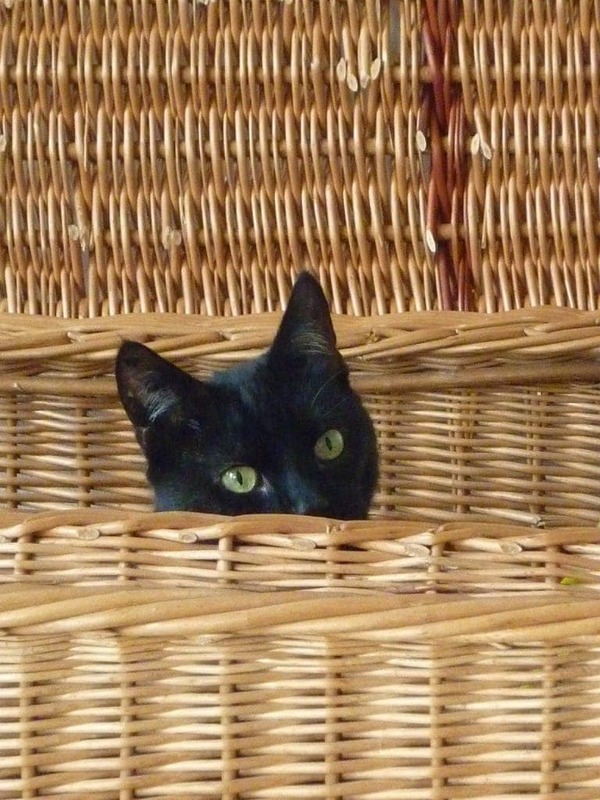 Simplicity and practicality is at the heart of Hepper’s cat furniture. Simple is typically also the best option when it comes to toys and litter boxes. Always consider your cats needs when choosing cat furniture and toys, but also do your best to keep things as simple and elegant as possible. 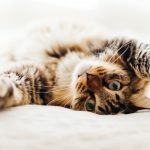 No matter what we do to create the perfect indoor space and minimize stress for our cats, there will still remain times when stress is inevitable. This might be the introduction of a new kitten, puppy, or adult animal to your established adult cat. It might be moving homes. It might be simply dealing with a cat that gets stressed at the sight of visitors it does not recognize. The safe place you created earlier is critical in improving these situations. It is this space that your cat will be able to retreat to in order to feel safe and re-find balance and calm. 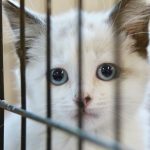 We cannot emphasize how important it is to ensure that you have a safe place for every cat in your home, and to keep this place as quiet and comfortable for him or her as possible. In certain cases such as a new animal in your home, the safe place may need to change to adapt to the newest addition to your family. For example, if you have a new puppy in your home, limiting the puppy’s access to certain rooms will help your cat feel safer, and ensure that the safe places stay safe. For more information on creating a safe space, please refer back to the section ‘Sleep and your cat’s safe place’. One of the most common causes of additional stress to an adult cat is the addition of a new pet. This could be another adult cat or kitten, or indeed a puppy, adult dog, or more exotic animal. 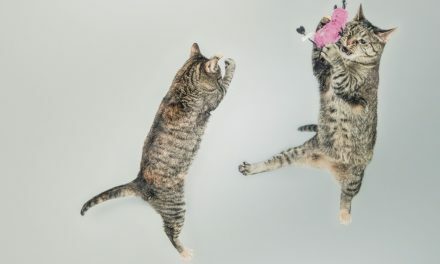 While the introduction process itself is important – step-by-step instructions for this introduction can be found in any number of cat behaviors books – having simple tips to reduce stress is an important consideration here. Ensuring your cat’s space is secured and maintained during the introduction to this new pet is of utmost importance. This will likely mean restricting the new pet’s access to one or two rooms, rather than the entire house. Where possible, try and make any ‘meetings’ between the new pet and your cat in a neutral area, and make sure you have control of the new pet so that it doesn’t rush at your cat or try to initiate play by chasing your cat. 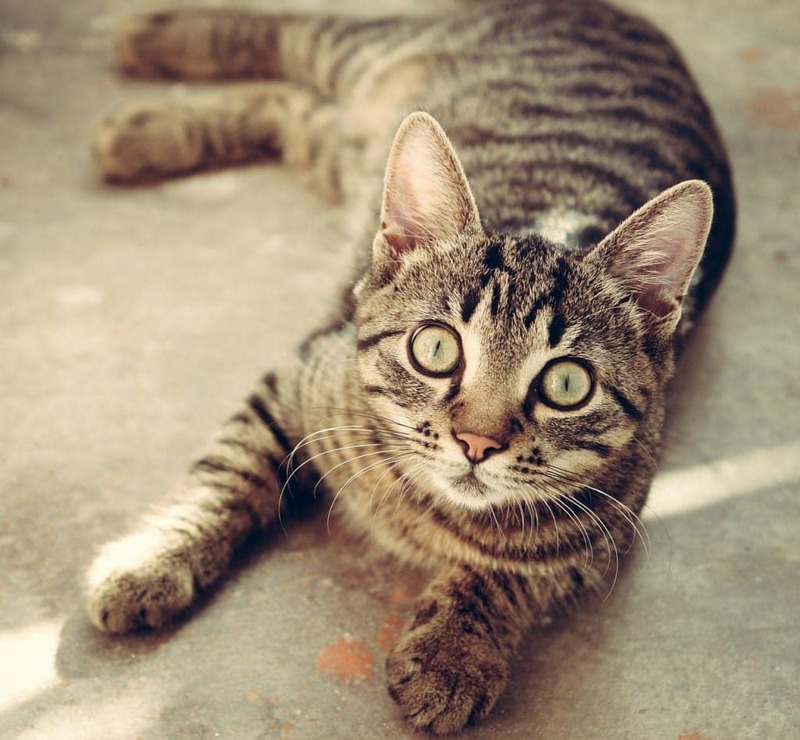 Indoor cats can become legitimately stressed when they can see other pets around the perimeter of your home. This might be something as simple as the neighbor’s cat lingering in your front yard with your cat watching him or her through a main window. It could be a stray cat, a dog, or even a wild animal. Whatever the case, this stress brings with it the occasional unwanted behavior, including spraying, marking, or inappropriate scratching. 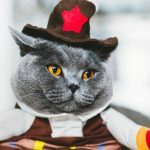 In most cases, giving your cat access to a big window that overlooks your yard is a fantastic idea, as it provides entertainment and enrichment for them throughout the day. 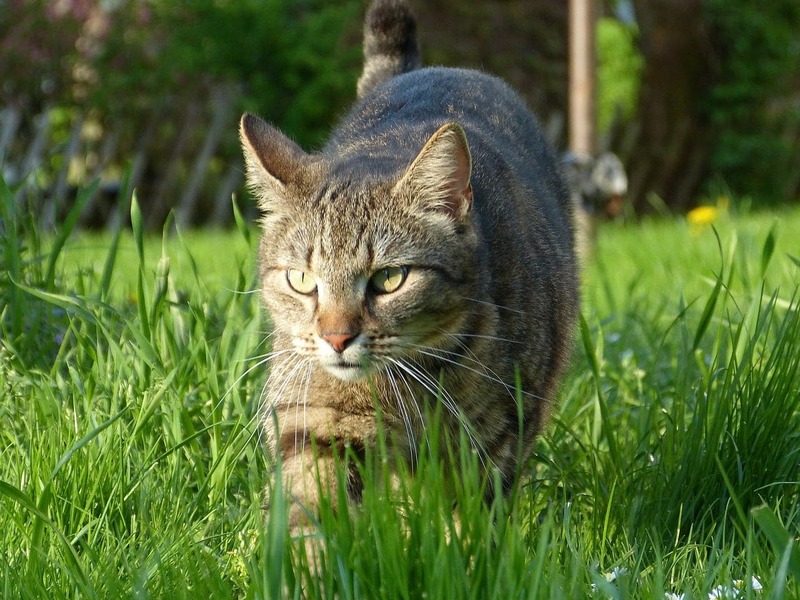 However, in the cases where you have noticed that your cat seems stressed when given the opportunity to look out into the yard, it is best to restrict their access to these areas. This might mean closing a room off to your cat during the day, closing the curtains, or moving furniture around so that your cat can’t sit on it to look out the window. Often if this was a cause of stress and stress-related behavior for your cat, then restricting the view is typically the best solution. 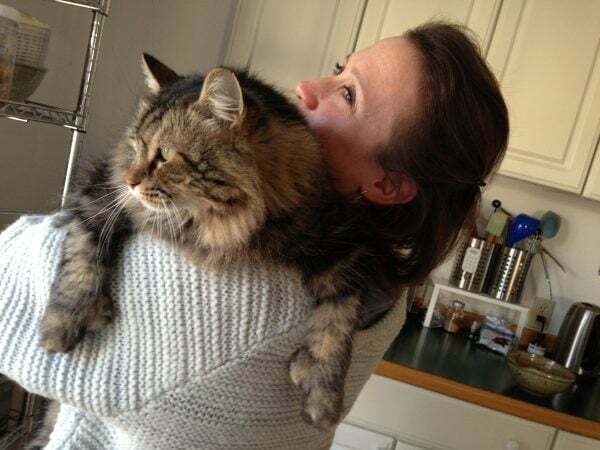 As we noted earlier, Feliway (a feline pheromone product), can also help to relieve stress in these situations. The feline pheromone is released into the air (don’t worry – humans can’t smell it) and these pheromones have a relaxing and appeasing effect on cats. Depending on your cat’s personality, they may rush to the door to welcome and greet visitors with purr, or they might retreat to their safe spot at the sound of the doorbell. Some cats will grow to like some people as they come into contact with them more frequently, while others will just always hide away until visitors have gone. The key, again, is to focus on your cat’s safe place. 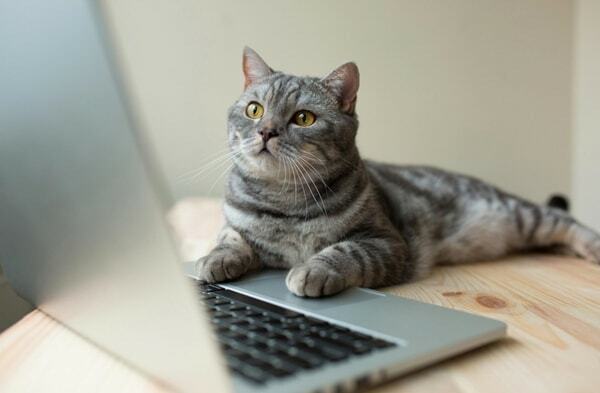 Don’t try to force your cat to interact with your visitors; in fact don’t even force them to be in the same room. Cats remain independent creatures despite their needs, and we need to treat them as such! Ensuring your cat has access to their safe place, and that this won’t be interrupted or accessed by your guests is very important. On the other hand, if your cat thrives on attention and loves interacting with everyone, then let him or her get all the pets and attention they can from your visitors. 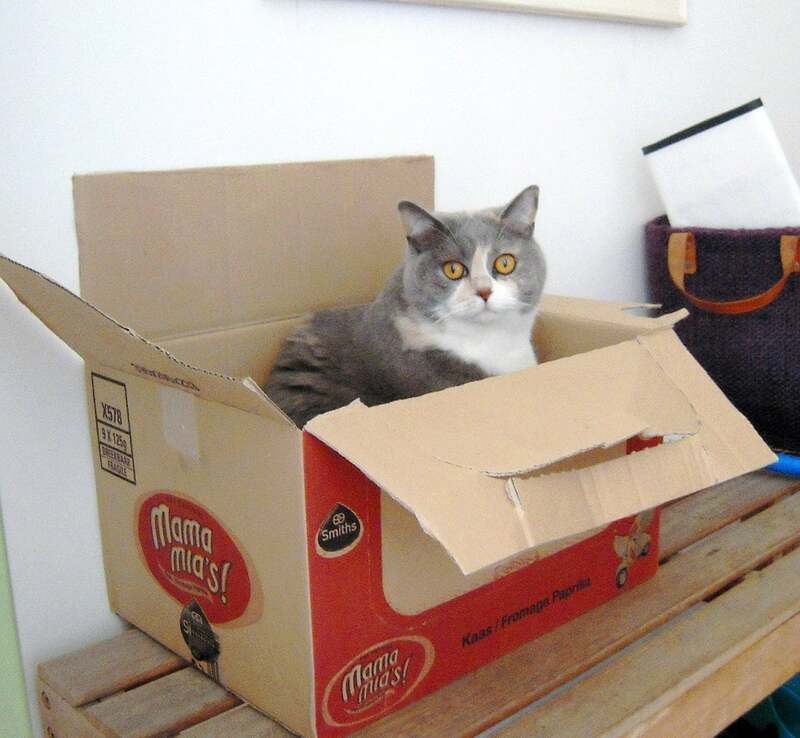 One of the most stressful events your cat will encounter is moving house. Cats spend a lot of time marking their territory with scent from the glands located near their cheeks, as well as leaving their scent by scratching things. When you move, these familiar scents will change completely and your cat’s signature markings will be nowhere to be found. Worse still for your cat, there is likely to be the scent of other cats in the house. Moving houses is always stressful, from organizing to shipping to boxing and more. 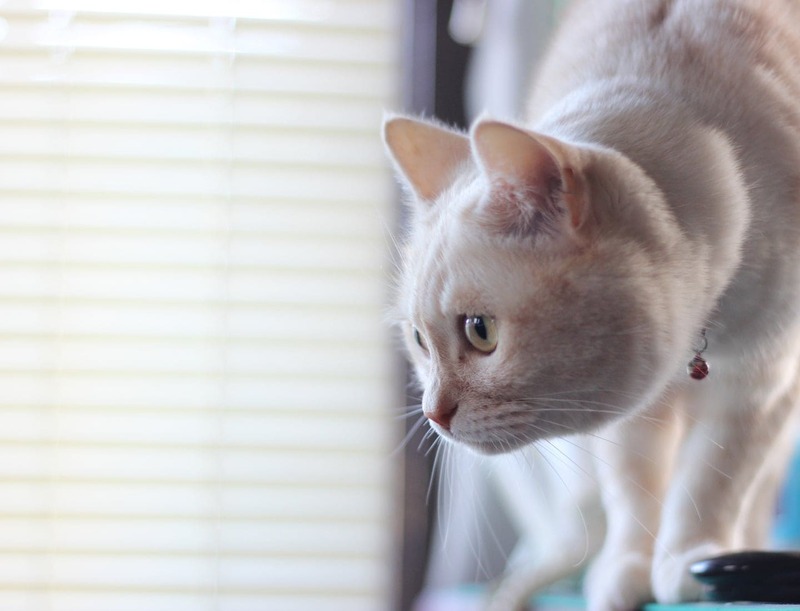 But by making sure your cat has all of its cat furniture and belongings that you had in the previous home, you are helping your cat readjust to an unfamiliar and potentially threatening situation. As with your prior house, you are best to start by making a map of your new home in the manner set out earlier in the book. This will help you to decide where the cat furniture should go, and most importantly where your cat’s safe place will be. Once you have decided upon a safe place, this is the place you should use to introduce your cat to your new home. It is best to keep your cat in this room for at least a week post-move to get used to the smells and new surroundings here. This will mean initially having a litter box and food/water bowls in that room as well. Make sure they are at least a couple of meters apart if you can. After a week, your cat will likely be more confident. Then you can increase your cat’s access to other rooms in the house. If your new home allows for it, give your cat access to half the home for weeks 2 and 3. You can hopefully move your cat’s litter boxes and food and water bowls to their permanent spots at this point. If after 3 weeks your cat seems happy, relaxed and confident, then allowing access to the rest of the house is absolutely fine. Having a gradual introduction to the new home like this will truly help minimize the stress your cat experiences with such an upheaval. If you have more than one cat, then the same rules apply. As with the original home, it is prudent to try and provide them with a separate safe space. With two cats, the same rules apply: it is best to keep each cat in their safe place for at least a week, which will usually mean separating the cats during this adjustment period. If all is ok after a week, then you can re-introduce them to each other again and allow them access to half of the house if possible. Utilizing the Feliway feline pheromone diffuser in your new home can help to reduce any stress even further. This is chapter 8 of the 12 chapter series.